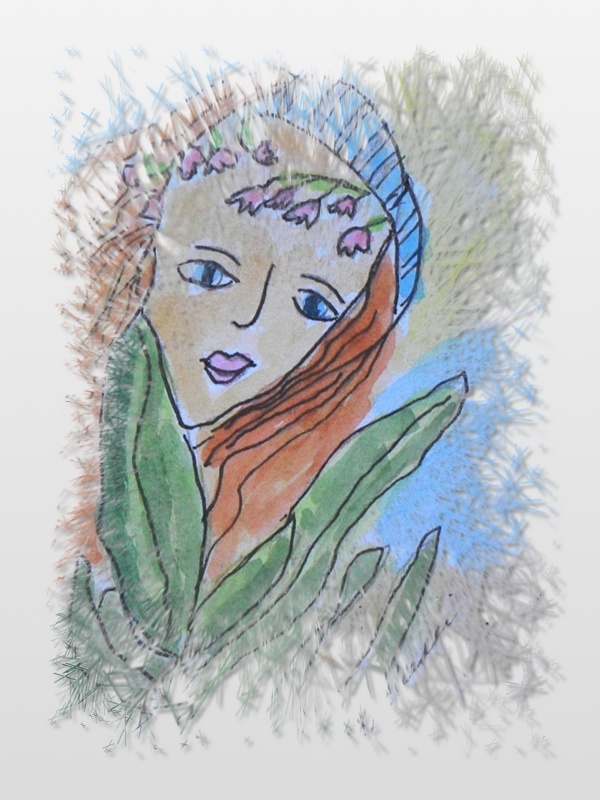 The above two photos are creations that were done with pen, ink watercolor and then a digital 'mask' was placed over them to create an ethereal quality. I do love your haikus although I'm totally unqualified to comment on them! Don't know how much more qualified I am to comment oh photos, but at least I do understand how good you are at them! The reflection shot through the rainy window is really great...the warm light looks so inviting on such a gray chilly day...like a welcome home! My journey is, I'm afraid, much like that of the snowflakes: spiraling. Really like the shot of the frosted window and the warm reflection of the light inside. And I am so thankful that I get to start anew each morning!! I really like the kitty painting as well as both window shots - I'm fascinated with window blind shots this year for some reason. Beautiful art! I love the photo of the warm light and reflections! Very crative! Lovely work this week Carol, interesting effect with that digital mask. The kitty is my favorite as well. Nature girl is sweet!! She looks so shy!! Nice paintings! 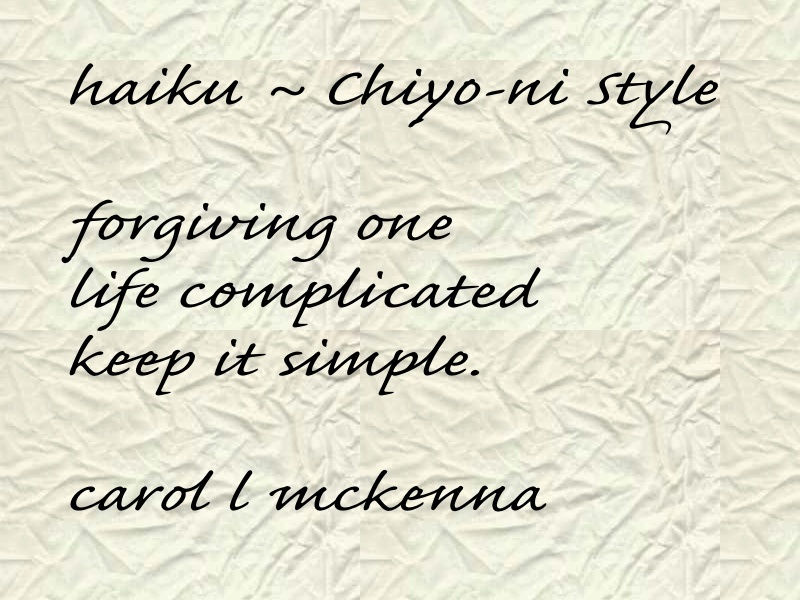 Life IS complicated,and it is not always easy to keep it simple--but thanks for the reminder! Wonderful! 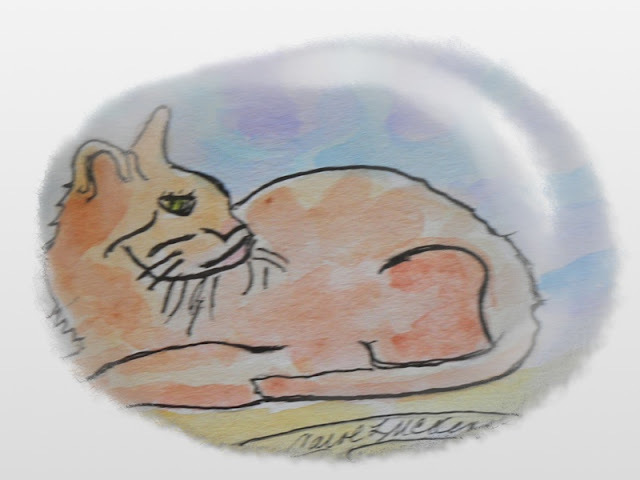 Really drawn to your Brave Cat! Happy PPF! Both the haiku have a spiritual connotation I loved. That orange light through frost is so warm. Oh i just love Nature Girl!HPPF! aah yet again I am thoroughly enjoying your wonderful illustrations, photos and poetry!! I love the reflection of the light on the window. I love that reflection shot, there is something very romantic about it :) Thank you for stopping by pret-a-vivre Carol, have a great weekend. How I love photos contrasting icy cold with the warm orange glow of hearth and home. 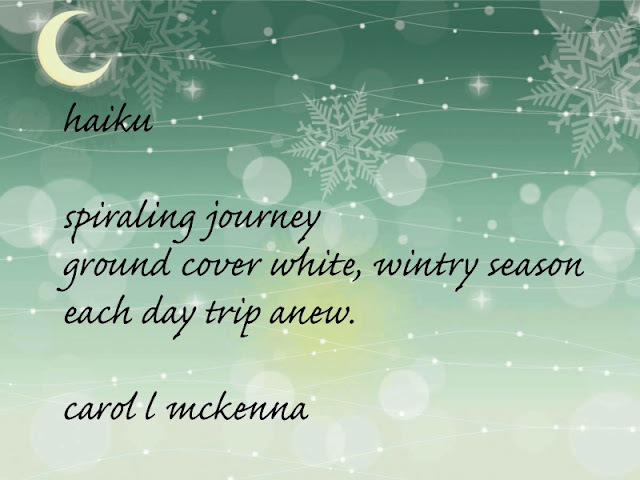 Great haiku, Carol. Your watercolors are lovely. I especially like the brave cat. I came for the B&W and stayed to view the rest. A nice visit to be sure. I really like the reflection of the droplets on the window. Carol and Art Muse, you have put together a very impressive post. Your cat is brave. Mine is a wuss. I think he was the one they named cats scaredy cats after. If anyone comes to visit us he runs and hides till they leave. When hubby moves too quick he runs till all is still again...He is the same color as your tabby though. Love the cat painting and the photos are wonderful. I like your sketches - especially the lady -really pretty! Wonderful B&W shot, and extremely beautiful haiku, Carol! Wonderful work! Gee, it looks VERY cold there where you are! Wow, you're so prolific, Carol! When do you have time to eat or sleep? I like your reflection picture : it is such a good symbol of winter : inside cosy and warm with the lamp and its orange light, and outside icy and grey... Very inspired, like your haïku ! Your black and white has so many different lines. Nicely spotted. Just wanting you to know that I stopped by to look and read. Nothing to say except perhaps I love your very simply expressed photos of your artwork, especially the human portrait. I also love the Black and White photograph very much. Cloudy gray sky days are seen in Black and White, not only by the camera lens, but by the observer as well. Soothes me to live with this kind of sight. 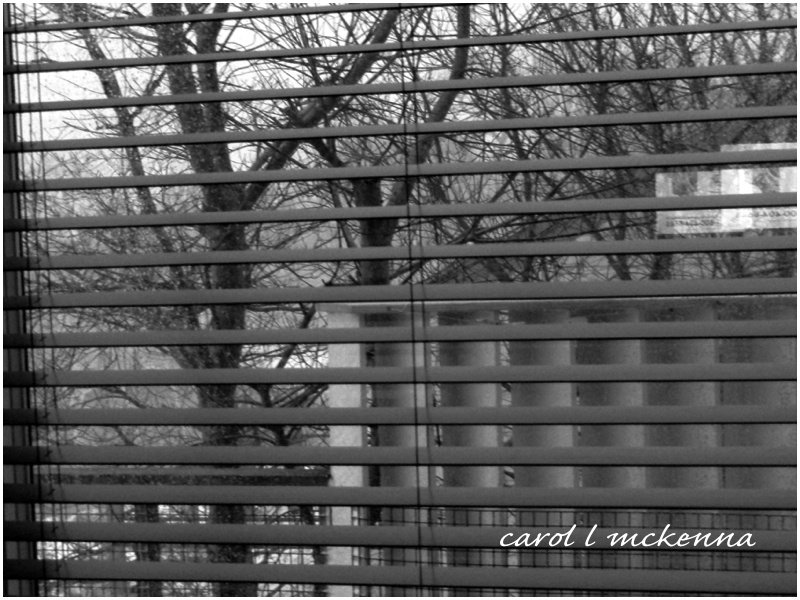 Need picture through the blinds. I love your signs of spring! The next two photos, wow, I need to try that. I really thought they were water colors. It's a grey winter day in Warsaw. Your tulips cheered me up. I like the photo of your window with droplets of snow. it is important to create art everyday - keep those creative juices flowing! Wow!! You've been so busy! Your paintings and photos are wonderful. A delightful post. Your tulips are lovely. 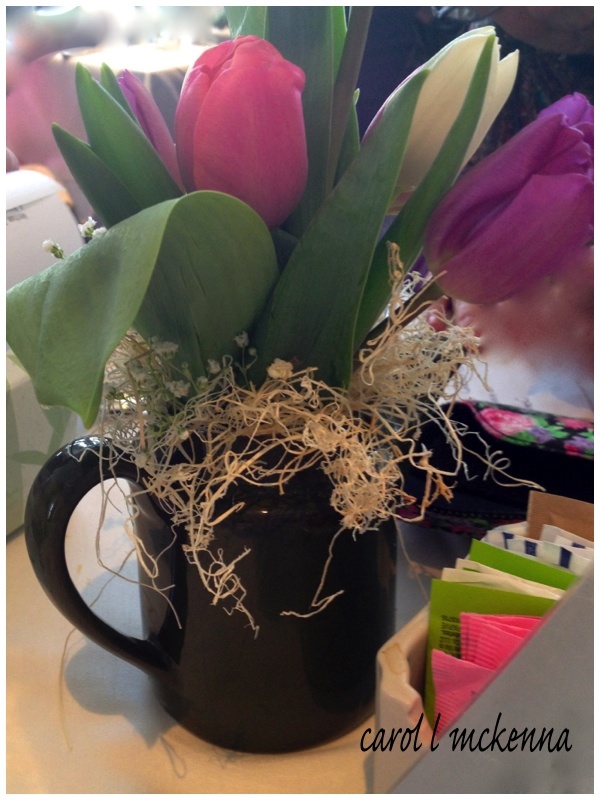 I would love to have those tulips on my desk. What a cheerful sight. I love your sketching... I've been getting back into some art lately... the tulips are lovely, can't wait for spring! Thank you for sharing on Weekly Top Shot #71! Weekend Reflections . . . the branches turn magically into frost. Very poetic! Such a lovely collection of photos this week! I'm especially smitten with the photo of the ice on the window. Beautiful! I like your two "Weekend" shots!! Nature girl and kitty got my full attention!!! Wow what amazing art and beautiful inspirational words !! 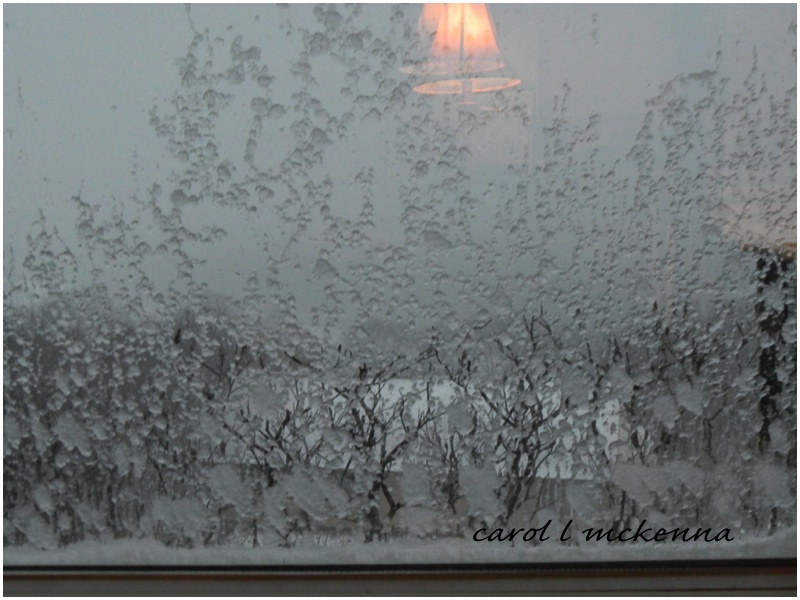 Your drawings are so sweet and I adore the photo with the light in/on/ outside the frosty window...magic! Beautiful photos. A late visit from OYGIF. Wonderful images. I think my favourite is the last one. Love your posts they are chocablock with so much to read and look at. Happy belated PPF.